UPDATE: Despite denying original allegations, Roger Jouret has admitted that the voice behind Ça Plane Pour Moi was not his. The man recognized behind Plastic Bertand and the 1977 song Ça Plane Pour Moi (All's Cool With Me) might not actually be the real star. Roger Jouret - onetime hero of Brussels' Euro-punk music scene - denies allegations from his former producer, Lou Deprijck, who claims to be the true singer. Findings by a linguist who has examined the original recording of Ca Plane Pour Moi claim that the singer of the track spoke with a distinctive twang that would not have come naturally to Brussels-born Jouret. 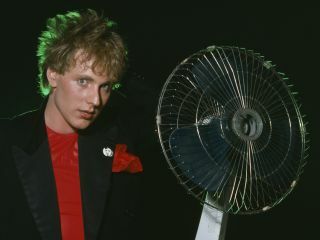 Having spent the past decade pursuing his music career in Thailand, Deprijck claims he recorded the song but that the record label wanted a flamboyant punk figure to carry it off, and Plastic Bertrand obviously fitted the bill. Asked to rule four years ago on the question, the Brussels court of appeal decided that Roger Jouret was the 'legal performer' of the song because he had appeared on the cover and had signed the original contract. New evidence on the 33-year-long legal saga has called for another court date this week, where the same question will be raised; should Ça Plane Pour Moi have been another man's victory?